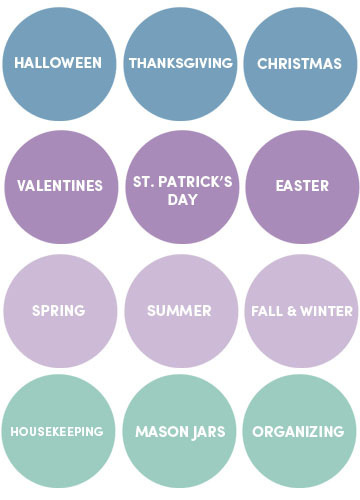 For spring, Pantone® is presenting a whole palette that work with these two fresh colors, “Vivid brights give way to excitement and optimism.” Here are some ways you can bring this bright hues into your home. 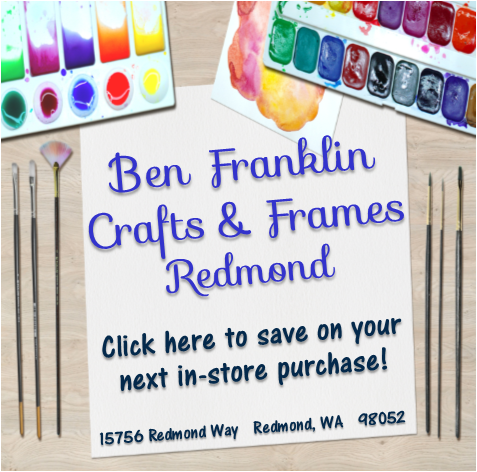 decor and supplies are available at Ben Franklin Crafts and Frames in Redmond. This project incorporates similar colors to Pantone® color picks “Serenity”, “Snorkel” and “Limpet Shell.” It’s an easy way to bring some modern looking art into your home, and the best part is it’s super simple to do it yourself. 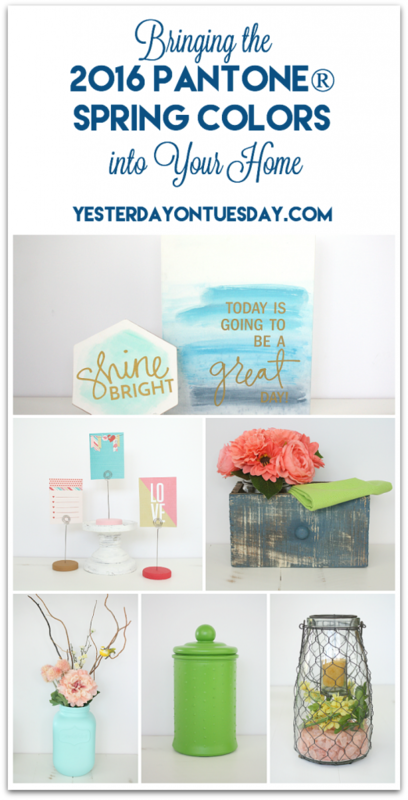 Supplies: Just Add Watercolor – Canvas Aquarelle from Cosmo Cricket, vinyl word from Decorating Your Life, acrylic paint in Calypso Blue from DecoArt, acrylic paint in Calypso Blue, Deep Midnight Blue and Indian Turquoise from DecoArt. Pour some paint into a small bowl or dish and add water. This give the acrylic paint a sheerer watercolor feel. Paint the surface of the canvas. Remove an excess paint with a damp towel. 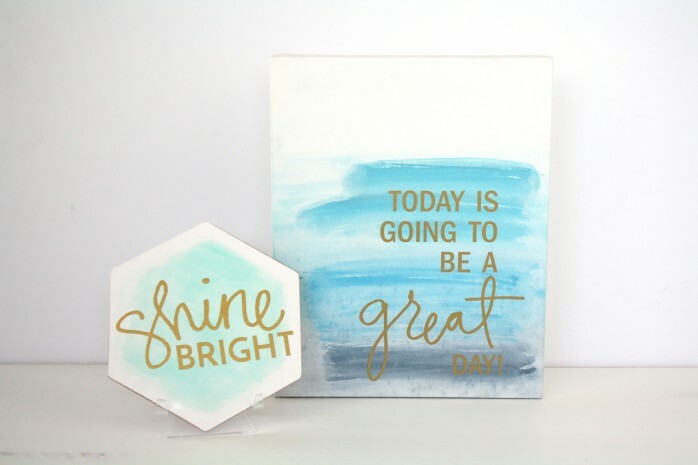 When canvas is totally dry, follow instructions on vinyl package to add words. 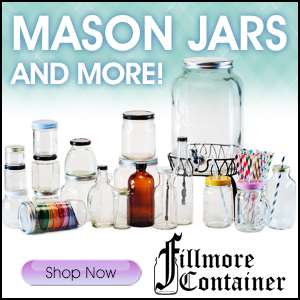 Welcome spring with this twist on traditional vintage glassware. This Green Milk Glass Glassware looks like something from the antique store, but with the vivid color echoing Pantone’s® “Green Flash,” it feels whimsical and modern. Supplies: a glass vase or bottle, white dimensional paint, Krylon Colormaster Primer, Montana Spray Paint in Lawn Green and a piece of graph paper. 1. Place graph paper into glass piece, this is your template for making the dots. 2. Using white dimensional paint (aka puff paint) create a pattern of dots around the glass piece, covering the entire surface. 3. Let it dry overnight (this will give the dimensional paint time to harden). 4. Give the piece a coat of spray paint primer and let it dry. 5. 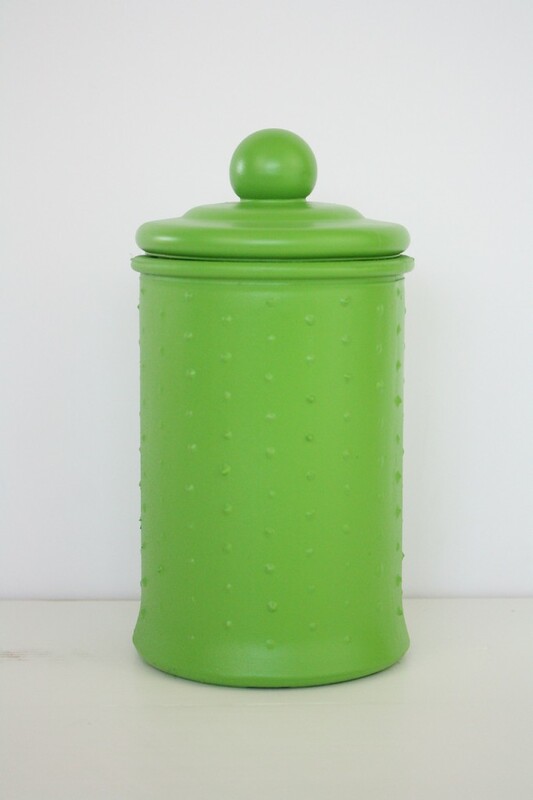 Spray with the bright green spray paint. 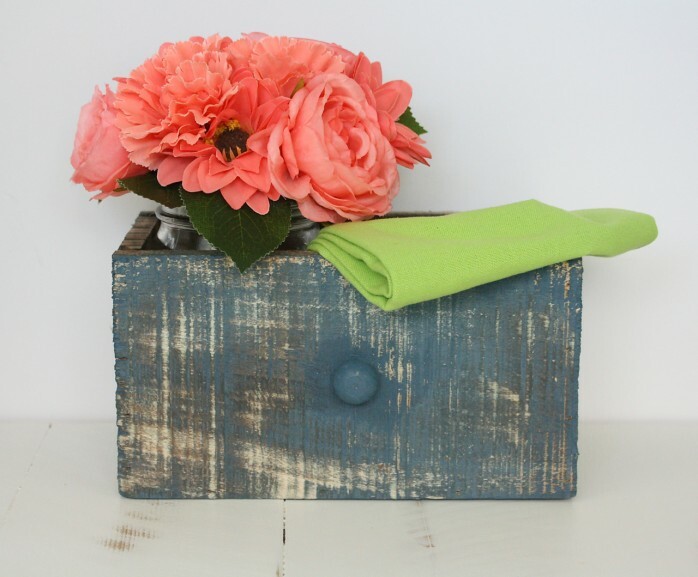 Display faux flowers (or anything you like) in this blue weathered drawer, very similar in color to “Serenity.” To balance out the blue, add a coordinating color like this shade Pantone® dubbed “Peach Echo.” The wonderful thing about this piece is it work great for any season. 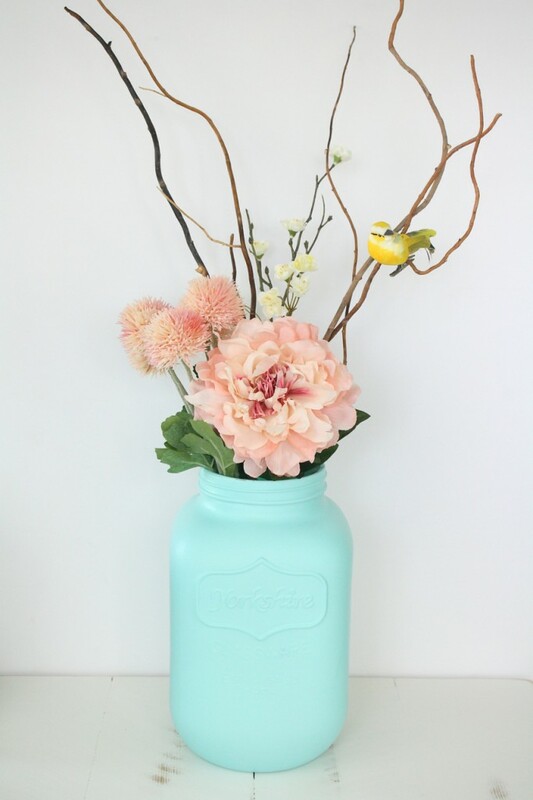 Supplies: a large mason jar or glass vase, Krylon Colormaster Primer, Design Master Spray Paint in Robin’s Egg, faux pink flowers and a fun embellishment like this little yellow bird. 1. In a well ventilated area (I like the garage) cover your work space and give the glass piece a couple coats of primer. Let it dry. 2. Add a few coats of the spray paint. 3. Place flowers and birdie in vase. 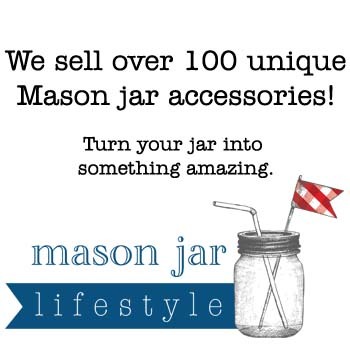 Sometimes small touches can make a big impact. 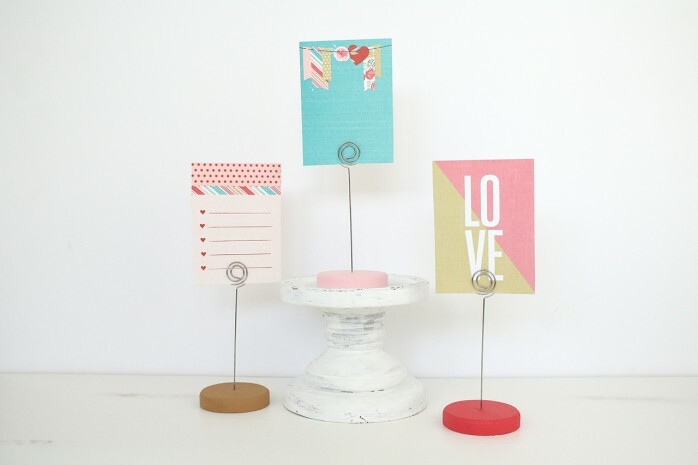 These little picture holders are great in a group and are super simple to create. This project incorporates that main “Rose Quartz” color as well as hues similar to Paintone’s® “Fiesta” and “Iced Coffee.” While considered spring colors, they are also perfect for Valentine’s Day! Supplies: small wooden picture holders, DecoArt acrylic paint in Watermelon Slice and Cocoa, Delta Creative Cermacoat Paint in Hydrangea Pink, and masking tape. 1. Tape off the wire part of the picture holder with masking tape. 2. 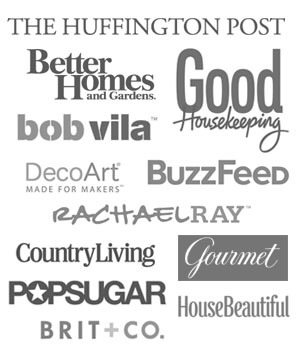 Paint the wooden area with one of these bright colors. After it dries, apply a second coat if desired. 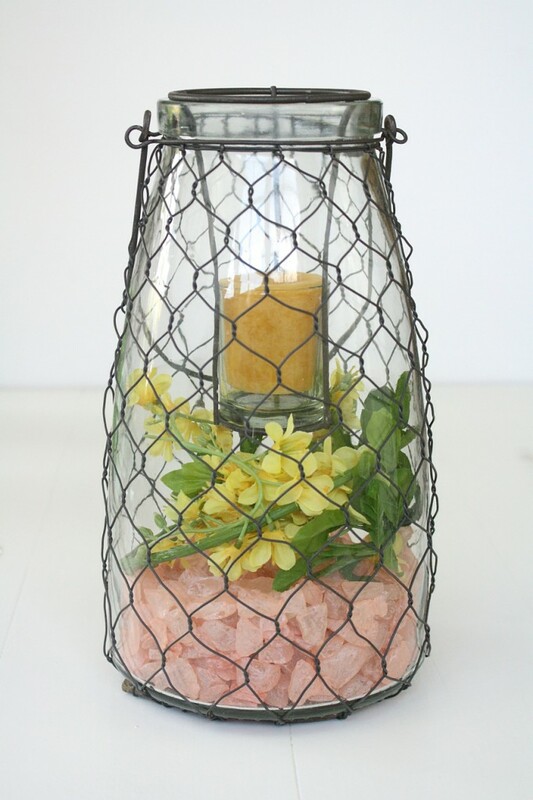 Supplies: large glass candle holder, Pearlized Sea Glass from Darice, faux yellow flowers and a small candle. Directions: Add sea glass to candle holder. Bend the stems of the flowers into a circle and place on top. Finish with a small candle.